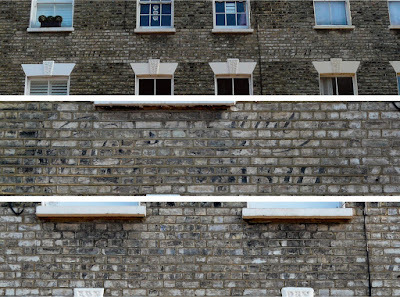 Jane's London: Please help to decipher this old hand-painted sign in Bride Street – could be a butcher or an ad for washing powder? 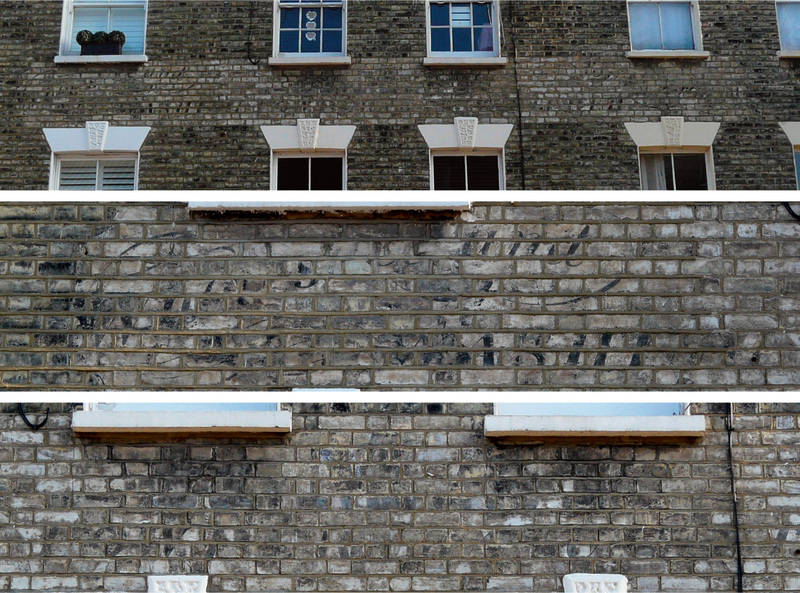 Please help to decipher this old hand-painted sign in Bride Street – could be a butcher or an ad for washing powder? Out doing a recce for a new walk idea earlier this month I happened upon the remnants of a hand-painted sign across 83-87 Bride Street, N7. I attempted to take a few photos with my phone but it was late in the day and the light was poor and so the resultant pics were too. Earlier this week, I ventured out in the biting cold armed with my camera. The enhanced images below give an idea of what's there. It looks to me to be a company called Wa(...)s(...) and S(omebody/thing) as written in undulating U+lcase script at the top. There are also remnants of three large blue serif letters, HM(? ), at the middle in bold caps and, along the bottom in a fine bold italic caps, I can make out (possibly WASH...(?) and BUTCHER. But there's lots more I can't decipher. 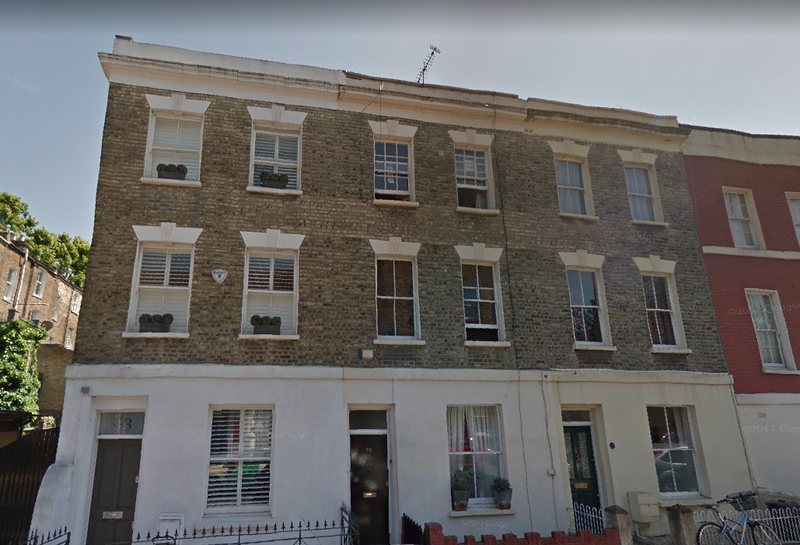 The directories for both 1895 and 1905 do not have anything listed against these properties except Percy Tyre & Rubber Co. Ltd. shown at 83a, which I assume to be at the rear with access at the side. So, have you got any ideas; can you help? The full sign, left and middle sections. Following on from "Washing" shown as close-up in the centre pic, I think I can also make out "powder" following on from that, seen bottom left of the third pic, which would make sense. it almost looks like it's one ghost sign on top of another one as the script type appears to be partially over the serif-ed font. It looks like a C.... then 'and' and the last image looked like T/F u -- er. also can you find old photos with these buildings? I have looked online but so far come up with nothing.